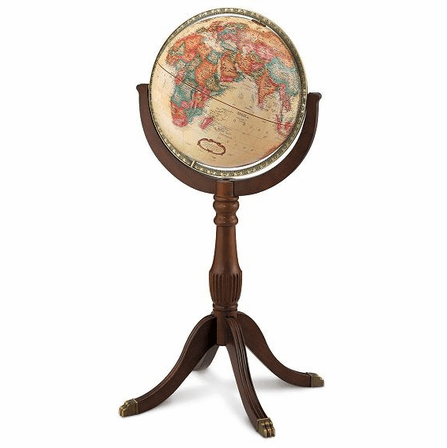 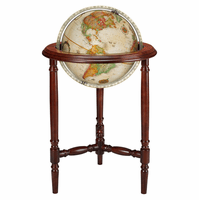 Ornate and elegant, the Sherbrooke II floor globe, by Replogle Globes, has an antique white ocean background with soft, multi-colored countries, and a multitude of mapped cities. 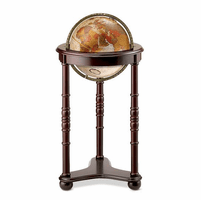 It is set in an antique brass-plated die-cast meridian that is attached at the Poles and allows the globe to spin. 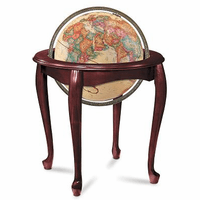 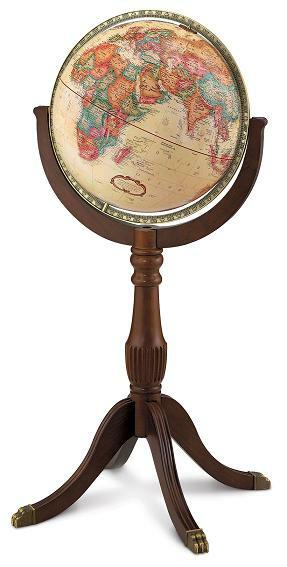 The 16' diameter globe is set in a cherry-finished solid wood pedestal stand, with four carved legs with brass claw feet. 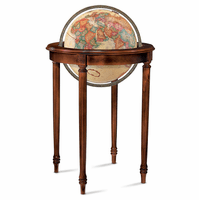 The total dimension is 21' x 16' x 43', perfect for displaying at home or in the office.